Distance Paddled: Paddle as far as you like out and back, upstream or downstream. Or go upstream to Rock Springs Run. 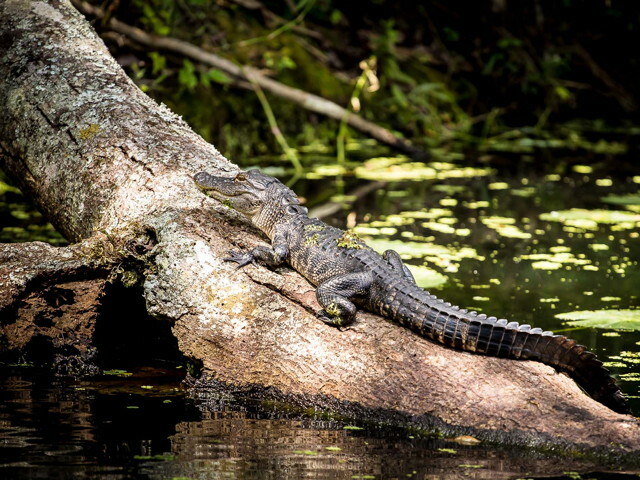 Special Regulations: Never feed wildlife, especially alligators. Directions: From I-4 East/West take exit FL-434 W/W State Rd 434. Proceed for 8 miles and take a right on Wekiva Springs Rd. Proceed for approximately 3 miles and take another right onto Miami Springs Dr. Location is at the end of the road on the right.. 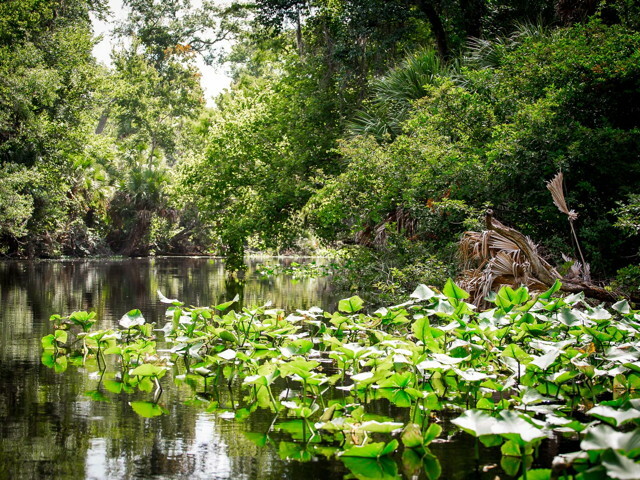 I launched from Wekiva Island boat launch located at the tail end of the Wekiva River which flows south from Lower Wekiva which is part of the network of Florida’s spring fed rivers. 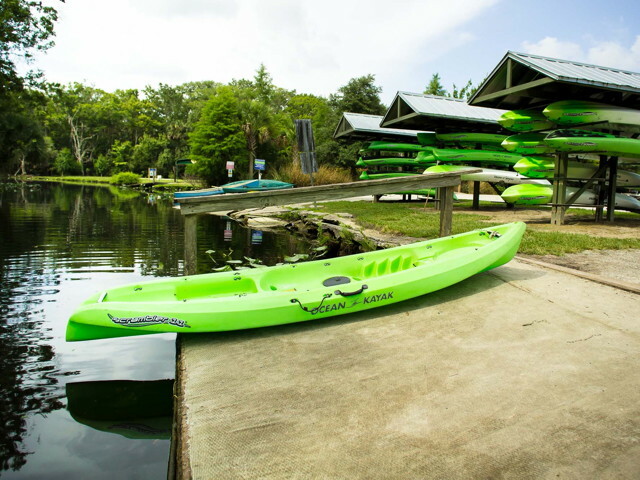 The journey from Wekiva Island is ideal for novice paddlers as it is a short route and the waterways are easy to navigate. There is plenty of wildlife to observe as well as ample people watching with everyone else visiting the island. As I left the boat launch I veered left to paddle upstream in the direction of Rock Springs run and Wekiwa Springs State Park. 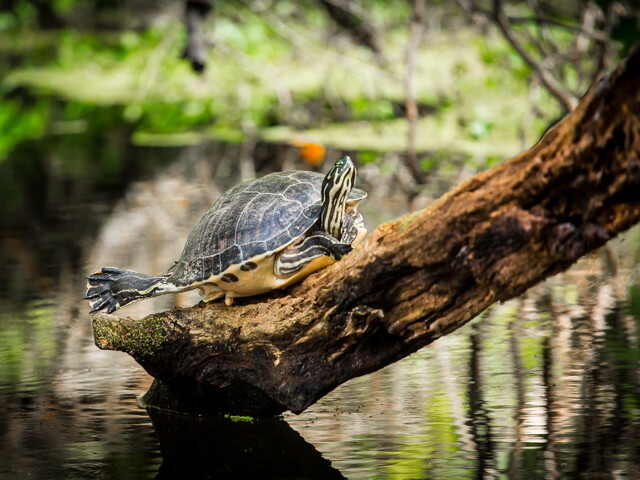 Along the way there is much to see including birds, turtles, and if you’re lucky alligators sunning themselves on nearby mangrove branches jutting out of the water. I proceeded down the waterway which at one point breaks into a temporary fork around an island. My friends took the left side which flowed up towards Rock Springs Run for a short distance and I took the right. Both sides rejoined quickly so that we could all continue paddling towards the head of the spring together. Along the way, we saw more birds and turtles above the water on Bald Cypress trees and Live Oaks. Eventually, we came to a shallow, clear water area (less than two feet deep) and were able to tie up our vessels along the shore and get out to wade in the water. Along the riverbanks you could see Red Maple trees, American Elm, Sabal Palms, Saw Palmettos, and Sweetgum trees. The forested area is beautifully preserved and largely untouched. We made sure to pick up any stray trash we saw in the water and on land while we were there. Thankfully, it was minimal. We paddled back in the direction of Wekiva Island to drop our boats off and spend the rest of the afternoon on the boardwalk. The best part was being able to come back and have lunch and drinks right by where we had launched. All in all, I would highly recommend Wekiva Island to anyone who wants to kayak from beginner to more experienced. 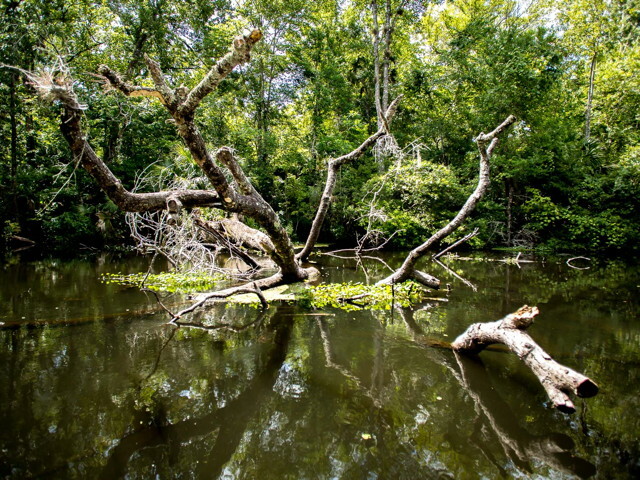 It's a beautiful stretch of waterway and the recreation area on land is a lot of fun if you are looking to spend the rest of your day hanging out closeby. KayakGuide.com web pages may be reproduced on paper only if each web page is reproduced in its entirety. Any other reproduction requires the written permission of KayakGuide.com and the author. KayakGuide.com pages may not be reproduced for profit-making purposes except by the authors and by KayakGuide.com. Businesses may reproduce KayakGuide.com pages but may not charge any fee for those pages. You may share or link the web addresses (URLs) of KayakGuide.com pages, store them on any computer, and publish them as long as they are always clearly acknowledged as belonging to KayakGuide.com. Authors of content published on KayakGuide.com retain the copyright to the content they submit except that any other publication on the internet of that content is prohibited without written permission from KayakGuide.com. Authors of paddling routes have unlimited rights to reproduce photos they publish on KayakGuide anywhere. By submitting information for publication to KayakGuide.com, the author irrevocably grants KayakGuide.com permission to publish that information on KayakGuide.com. Authors also grant permission for others to reproduce that information only under the limited conditions of our terms of copyright. By reading or using any information on KayakGuide.com, you agree not to hold the owners, employees, service providers, advertisers, partners, or content authors of KayakGuide.com responsible for any errors or for any mishaps or losses you may have as a result of any information on this web site. You understand and acknowledge that water levels, currents, and other paddling conditions can vary from those described herein and that you assume all risks associated with paddling these routes or using any information on KayakGuide.com. You acknowledge that the information on KayakGuide.com is not a substitute for the first hand knowledge of a qualified guide with recent paddling experience on these bodies of water. You acknowledge that kayaking, canoeing, and similar water sports carry an inherent risk. You agree to undertake such sports safely and responsibly, with appropriate training and equipment. You agree to adhere to the Closewaters Principles to protect our natural environment and enhance the experience of others. KayakGuide.com, KayakGuide, and "Places to Paddle" are Trademarks of Closewaters LLC.